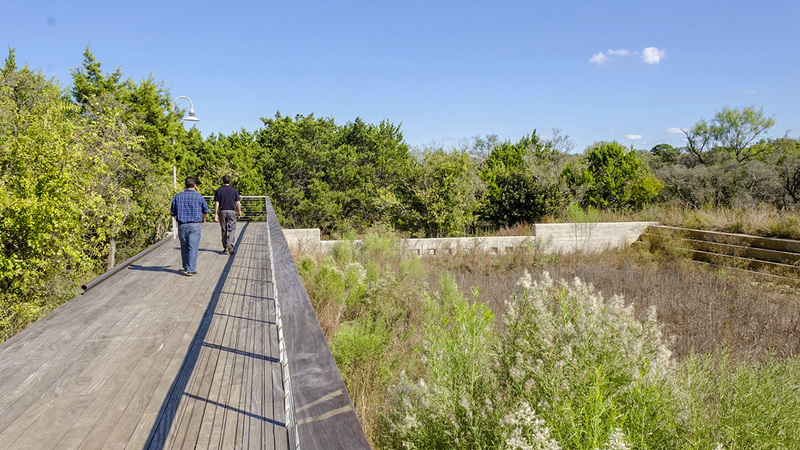 In 2007 the City of San Antonio purchased this 311-acre parcel to establish a nature preserve and recreational park. 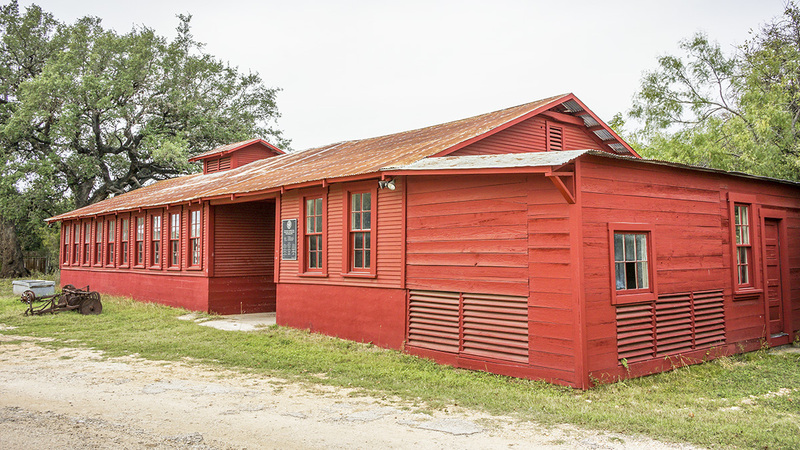 Located approximately ten miles north of downtown and surrounded by dense suburban development, the site was part of the Voelcker family dairy farm, the last working farm in what was once a predominantly agricultural area known as Buttermilk Hill. 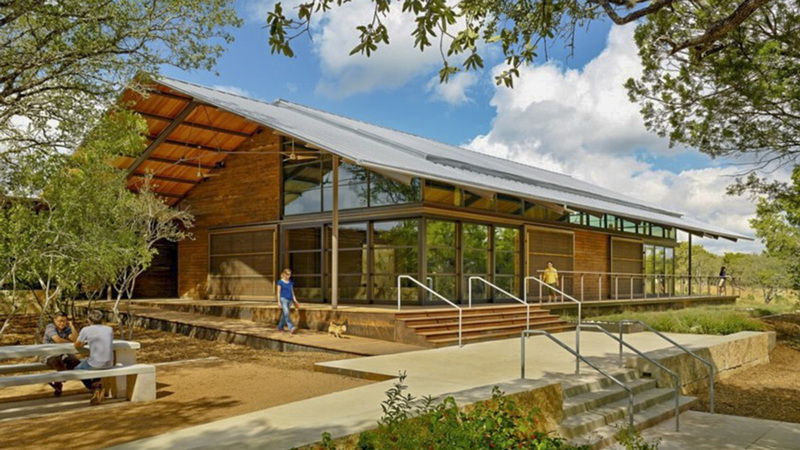 Named after Phil Hardberger, a former mayor of San Antonio who advocated for the project, the park opened to the public in 2010. Stephen Stimson Associates and D.I.R.T. 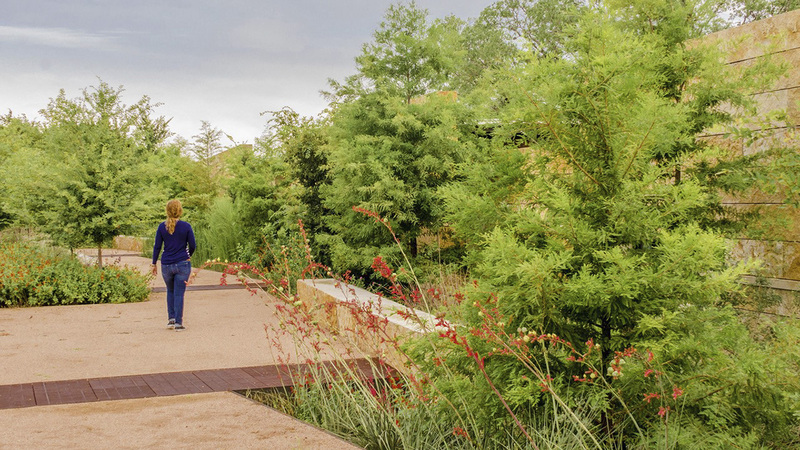 Studio developed the master plan, still being implemented today, to create a “cultivated wild” landscape with an expansive network of nature trails and other recreational amenities. 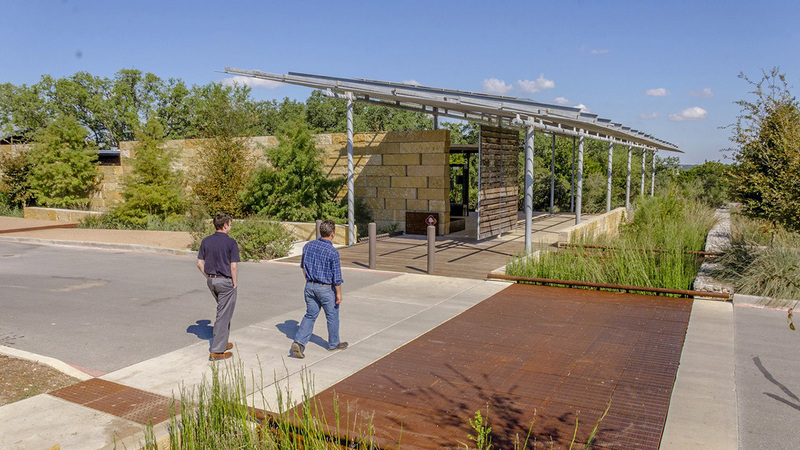 The six-lane Wurzbach Parkway divides the park into two distinct sections: northeast and southwest. 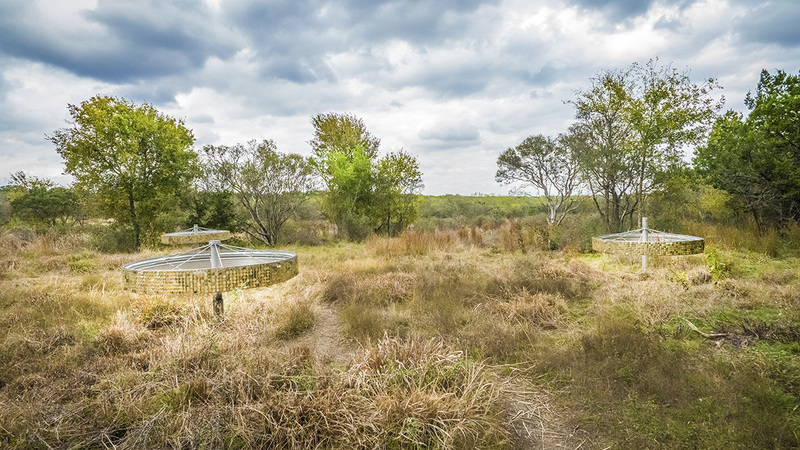 Cedar elm woodlands with scattered groves of oak cover the northeastern tract, which includes the restored Voelcker homestead (listed in the National Register of Historic Places in 2014) and abuts Salado Creek along its northern boundary. Dense Texas brushland extends across most of the southwestern tract, punctuated by a knoll of live oaks and exposed limestone. As part of the master plan, oak savanna is being reintroduced to the southwestern section, which also features a five-acre open field and basketball courts. 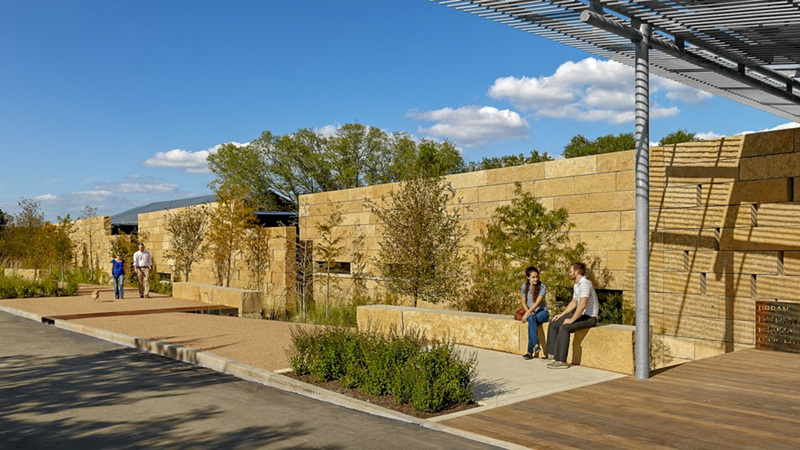 An Urban Ecology Center, designed by Stephen Stimson Associates and Rialto Studio, was completed in 2013 in the park’s southwestern quadrant and provides recreational and educational space with pathways and overlooks that emphasize people’s relationship with the surrounding environment. 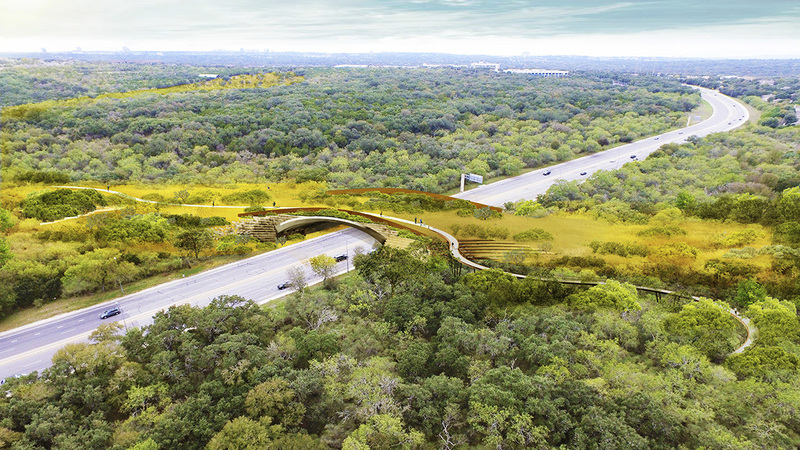 Slated for completion in 2019, an innovative 150-foot-wide land bridge, designed by Rialto Studio, will span Wurzbach Parkway to connect trails on both sides of the park.